This is a complete inventory of all kits and class samples for sale. Samples are fully assembled class kits for those times you need that special gift but don't have time to do it yourself. 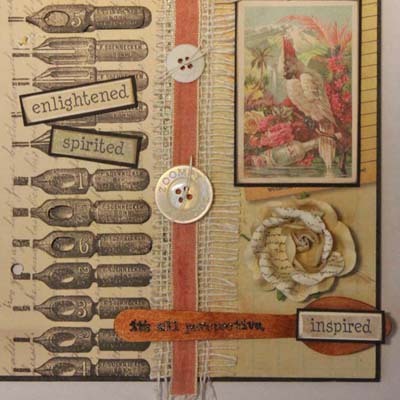 MIXED media is how I will describe the journal we will be creating using assorted papers and embellishments. We will be using a composition notebook to create this unique journal. Papers and embellishments may vary slightly from kit to kit but you won’t be disappointed. Supplies to bring are: Basic Artist Stamp Kit, tape runners, all your favorite glues, stapler, hole punch, brown ink pad for inking paper edges. Class Samples are Not Available for sale. PORTRAIT of a Lady is one of the newest g45 collection of papers that has a soft and feminine touch. We will be using a composition notebook as the base and it will perfect as a gift or to keep and enjoy. We will be layering the images on the cover with places for photos on the inside. Supplies to bring are: Complete Artist Stamp Kit, tape runners, foam tape, clear silicone caulk, all your favorite adhesives, stapler, brown ink pad for inking paper edges, medium tip brown marker to ink cut image edges. SWEET treats are something I can’t resist and the g45 Café Parisian paper will make your mouth water with anticipation of what the images would taste like. 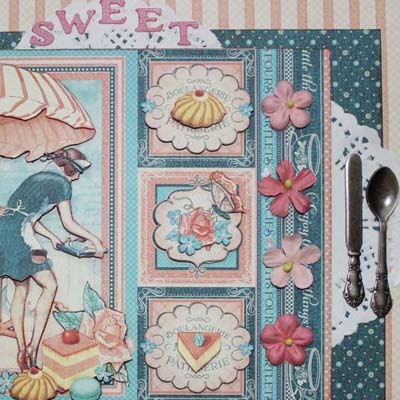 We will be creating a larger format 8” x 10” journal to store lots of your favorite sweet treat recipes along with photos of family and friends indulging themselves in all those tasty delights. We will be layering images on the cover and there will be many embellishments throughout the journal. Supplies to bring are: Complete Artist Stamp Kit, tape runners, foam tape, clear silicone caulk, all your favorite adhesives, stapler, small hole punch, brown ink pad for inking paper edges, medium tip brown marker for inking cut image edges, Cropadile to punch binding holes. Bring a snack. DREAM again with me. 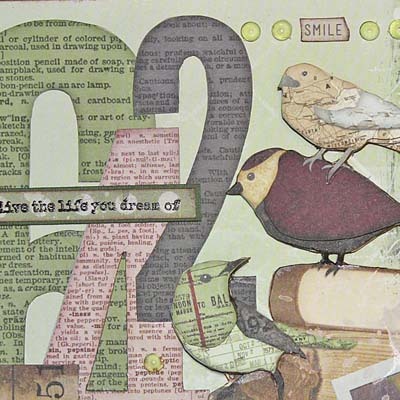 I don’t know about you but I loved creating with the BoBunny Beautiful Dreamer papers the last time and thought we could do it again using a composition notebook as the base this time. We will be layering the images on the cover with places for photos on the inside. What a great gift for the “dreamer” in your life. Supplies to bring are: Complete Artist Stamp Kit, tape runners, foam tape, clear silicone caulk, all your favorite adhesives, stapler, brown ink pad for inking paper edges, medium tip brown marker to ink cut image edges. Bring a snack. TRAVEL photos take center stage. Take your favorite vacation photos and insert them in a journal you will enjoy keeping on display and sharing with your friends and family. We are using the new g45 Cityscapes papers on a matt board journal which opens both left and right for a unique presentation. You will also be creating an envelope to keep memorabilia like ticket stubs or brochures. Supplies to bring are: Basic Artist Stamp Kit, tape runner, favorite glues, foam tape, stapler, small hole punch, brown ink pad for inking paper edges, black broad-tip permanent marker for inkling board edges, Cropadile if you have one to punch binding holes. ADVENTURES, real and imagined, are a fun part of life. Join me in creating a fun journal to record all of those adventures. 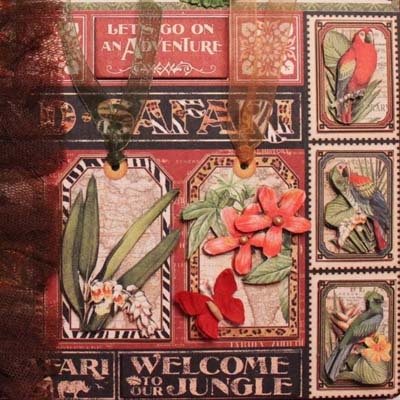 We will be using the g45 Safari Adventure paper on a composition notebook with fun embellishments. Supplies to bring are: Basic Artist Stamp Kit, tape runners, foam tape, clear silicone caulk, all favorite adhesives, stapler, hole punch, brown ink pad for inking paper edges. 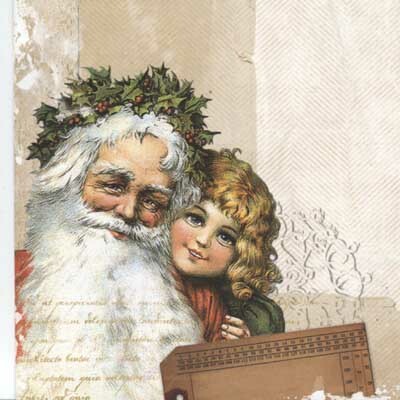 ST. NICK is coming our way. 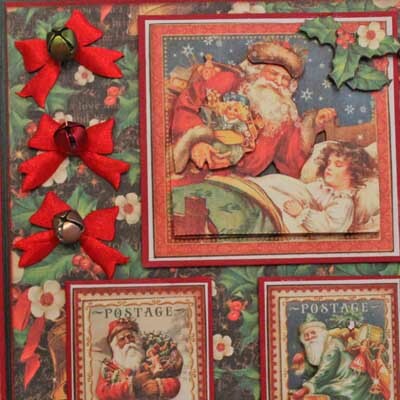 Join me in creating a fun folded journal using the g45 St. Nicholas papers. There are places for journaling, recipes, tags and more. It will make a great gift. Supplies to bring are: Basic Artist Stamp Kit, tape runners, foam tape, clear silicone caulk, all favorite adhesives, stapler, hole punch, brown ink pad for inking paper edges. BOWLS, we think of them as being functional and not just fun art forms. Join me in taking our passion for paper in a different direction and turning it into fun and artful bowls! I will provide all of the “mechanical” parts of the project and have the classroom set up for you to come in and play with your papers. You will bring a small jar of Matte Modpodge and your paper torn into pieces 3” or 4” and smaller. Claire has all of those wonderful handmade and unique papers in the store for you to use and explore. One of those large sheets of paper would be enough for your project. I recommend you NOT use a heavier weight scrapbook type paper as it is more difficult to form it into the shape you want. You will make your bowl but will need to leave it behind to dry until the next day before taking it home. GARDENING is a way of creating art with nature. 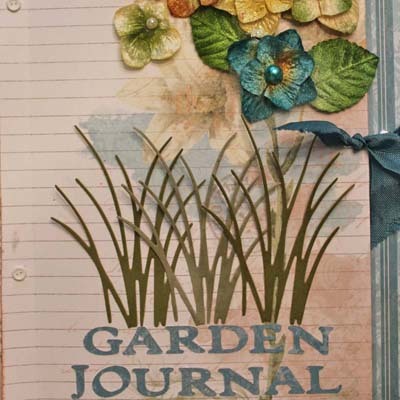 I have created a functional journal for you to keep track of all your plantings all year round. I have designed informational pages to use as you go through the growing seasons. There are also places for photos of your gardens and pockets to store the extra seed packets and information you get from the garden center. Great gift for a true gardener. Supplies to bring are: Complete Basic Artist Stamp Kit, broad-tip black permanent marker to ink journal edges, stapler, glues/tapes, all favorite adhesives, brown ink pad for inking paper edges, Cropadile if you have one. 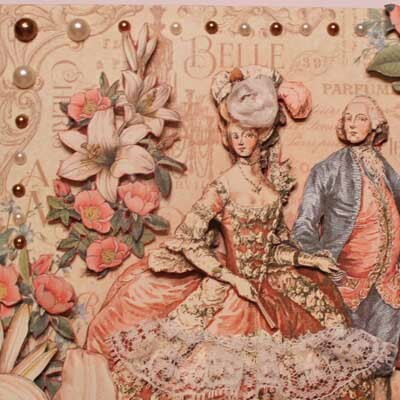 A VINTAGE feel is what the assorted 7Gypsies paper we are using has. 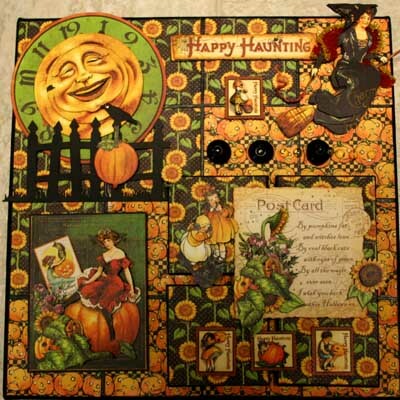 Your journal will have pockets, envelopes and spots for photos as well as some great embellishments. It will make a great gift or keep and enjoy yourself. Supplies to bring are: Basic Artist Stamp Kit, tape runners, foam tape, Glossy Accents, all your favorite adhesives, stapler, hole punch, broad-tip black permanent marker for board edges, brown ink pad for inking paper edges, cropadile if you have one. Bring a snack. 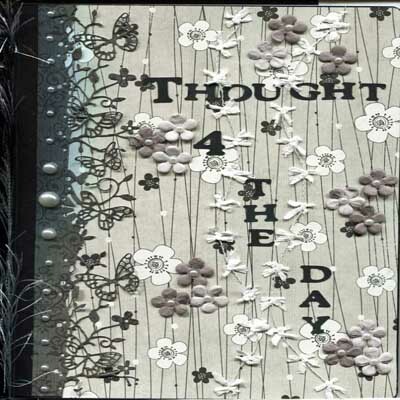 WRITE down your daily thoughts in this fun journal. We will be using assorted BoBunny papers over a composition notebook. You have pockets to place those important momentos and spots for photos as well. Use it for yourself or give to someone special. Supplies to bring are: Basic Artist Stamp Kit, tape runners, foam tape, Diamond Glaze (or Glossy Accents), all your favorite adhesives, stapler, brown ink pad for inking paper edges. GILDED Lily is the name of the g45 collection of papers we will be using to create an eight drawer treasure box. 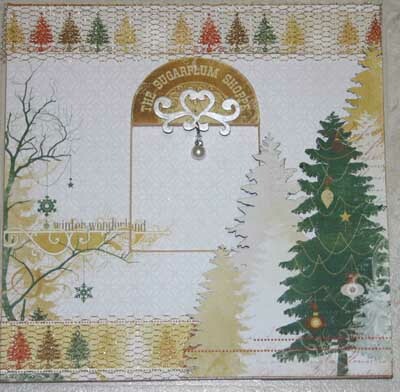 You will be layering the wonderful main image on the top of the box along with unique and fun embellishments. Very feminine, it would be a lovely addition to your dresser or you could place it on your work table and store your small embellishments. Supplies to bring are: Basic Artist Stamp Kit, tape runners, clear silicone caulk, diamond glaze (or glossy accents), all your favorite adhesives, hole punch, brown ink pad for inking paper edges. Bring a snack. Humbug… It’s that time of the year again when we start thinking about what fabulous gifts we can make for our friends and family. 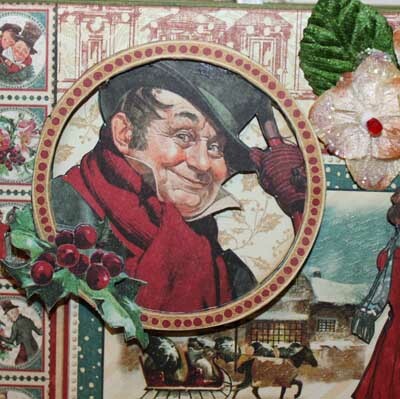 Join me in creating a photo journal using the new g45 Christmas Carol papers. 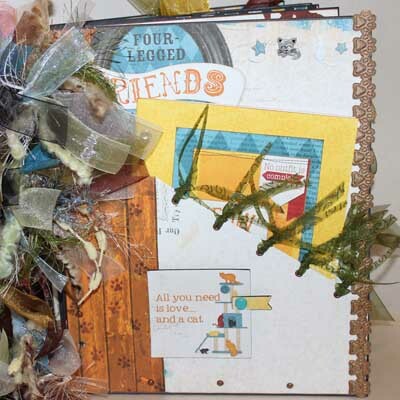 The journal focuses on photos and journaling with lots of fun embellishments. Supplies to bring are: Complete Basic Artist Stamp Kit, tape runner, foam tape, clear silicone caulk, all your favorite adhesives, broad tip black permanent marker, stapler, and Cropadile if you have one. BOWLS, we think of them as being functional but we don’t normally think of them as just fun art forms. 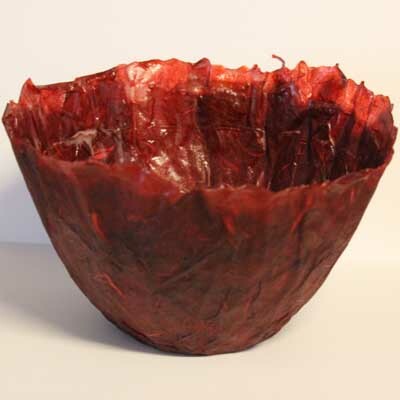 Join me in taking our passion for paper in a different direction and turning it into fun and artful bowls! I will provide all of the “mechanical” parts of the project and have the classroom set up for you to come in and play with your papers. You will bring a jar of Matte Modpodge and your paper torn into pieces 3” or 4” and smaller. Claire has all of those wonderful handmade and unique papers in the store for you to use and explore. One of those large sheets of paper would be enough for your project. I recommend you NOT use a heavier weight scrapbook type paper as it is more difficult to form it into the shape you want. You will make your bowl but will need to leave it behind to dry until the next day before taking it home. GENTLEMEN’S JOURNEY.. 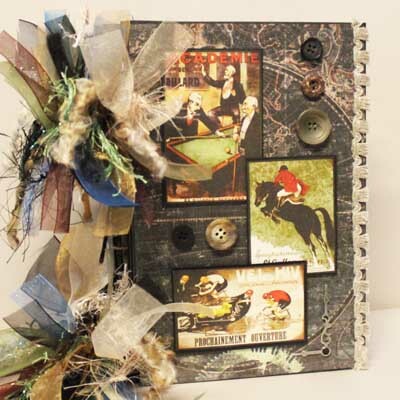 The spotlight is going to be on the men in our lives as we create a memory journal using FabScraps papers over a matboard journal. 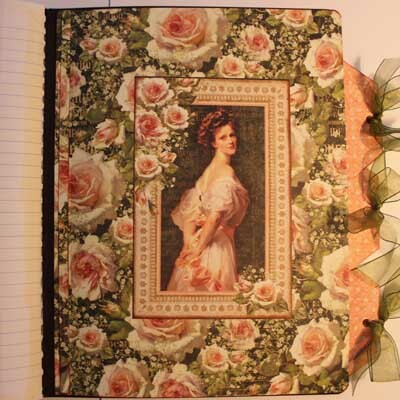 The focus will be on journaling and photos with embellishments appropriate to the theme. Supplies to bring are: Complete Basic Artist Stamp Kit, hole punch, stapler, tacky glue, Diamond Glaze, foam tape, tape runner, all your favorite adhesives, a broad tip black permanent marker to ink mat board edges, brown ink pad for inking paper edges and a Cropadile if you have one. CAT: a pygmy lion who loves mice, hates dogs, and patronizes human beings. We will be using the Bo Bunny Happy Tails papers and embellishments to create a fun journal for our feline friends with pockets, tags, and lots of photo and journaling spots. Supplies to bring are: Complete Artist Stamp Kit, LOTS of tape runner, foam tape, tacky glue, Diamond Glaze (Glossy Accents), all favorite adhesives, broad tip black marker to ink board edges, brown ink pad for inking paper edges, stapler, hole punch and Cropadile if you have one. UNFORGETABLE is the name of the black and white BoBunny collection of papers we will be using for this fun journal. 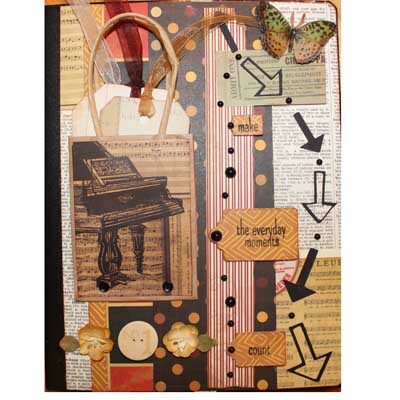 A composition notebook is our base with lots of cover embellishments and pockets, tags, and photo spots on the inside. Supplies to bring: Complete Basic Artist Stamp Kit, tape runner, Diamond Glaze (Glossy Accents), tacky glue, all favorite adhesives and stapler. TAG you’re it!! 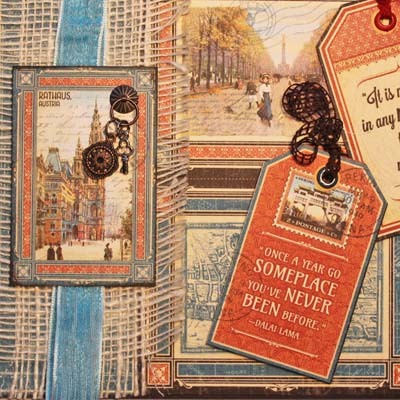 Come have some fun with a g45 Large Tag Journal and lots of different papers from past collections. 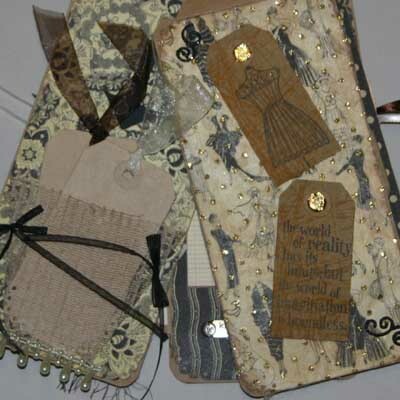 The tags are embellished with LOTS of envelopes, tags, pockets and journaling spots. There are also plenty of great ribbons, die-cut letters and assorted bling. Supplies to bring are: Complete Basic Artist Stamp Kit, stapler, Diamond Glaze (Glossy Accents), 2-sided tape/tape runner, tacky glue, all your favorite adhesives, hole punch, brown ink pad for inking paper edges. 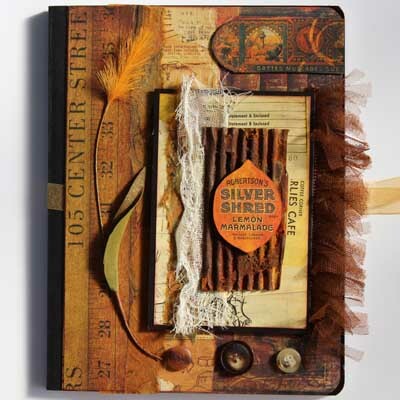 Silver and Gold is the new BoBunny collection of papers we will be using to create this beautiful plaque along with lots of great embellishments. 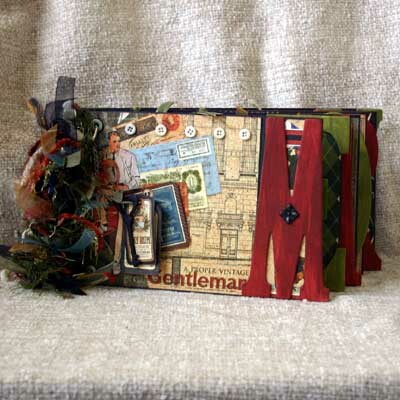 This will make a wonderful gift for a special friend or family member. Supplies to bring are: Complete Basic Artist Stamp Kit, 2-sided tape (tape runner), tacky glue, Diamond Glaze, matte ModPodge, clear silicone caulk, foam tape (any favorite adhesives), medium tip brown marker for inking cut image edges, brown ink pad for inking edges of paper. 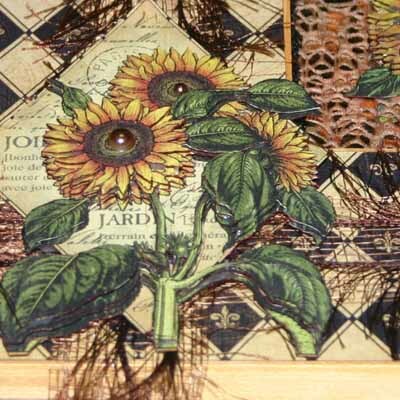 SUNFLOWERS are a wonderful design element in the new g45 French Country paper which we will be layering on a plaque along with other fun embellishments. The plaque can be hung on a wall or displayed on a stand for a table top or mantle. Supplies to bring are: Complete Basic Artist Stamp Kit, ModPodge, clear silicone caulk, thick tacky glue, foam tape (any favorite adhesives), medium tip brown marker for inking cut image edges, brown ink pad for inking edges of paper. MEN IN OUR LIVES usually go unnoticed when it comes to making something fun and special. The new g45 “Proper Gentleman” collection is a wonderful way to create something meaningful for a birthday, anniversary, or Father’s Day. Join me in making this fantastic larger format 6-panel graduated size chipboard journal that will make a great gift for that special man. It has plenty of room for journaling, photos, embellishments, and memorabilia. Bring your class kit, double-sided tape, tacky glue, permanent glue stick, foam tape/dimensional glue dots, corner rounder, heavy duty hole punch and brown ink pad for inking edges.